Description: London, Ian Allan. 1960. Soft Cover, 6 x 4 inches. No marks or inscriptions. Light creasing to front cover. Rear cover not clipped. A clean tight booklet with bright unmarked slightly rubbed boards, slight foxing to end papers and no bumping to corners. 72pp. 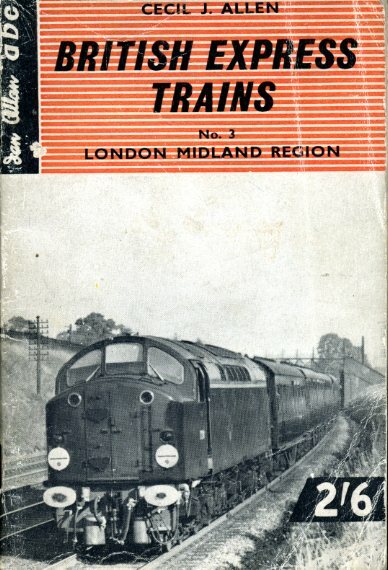 Performances and schedules on the express routes between the stations of the London Midland Region of British Rail. Good (+).